New business owners and those who are starting a new business often get confused with the concept of email hosting. We can’t blame them, experts sometimes get carried away and talk or write in technical terms, leaving novice confused. In this article, we will introduce you to email hosting. First, email hosting is different from web hosting. Website hosting is a service that provides a server(s) and other infrastructure needed to store and maintain the files that make a website function. A website can’t be found online without being hosted on a server. 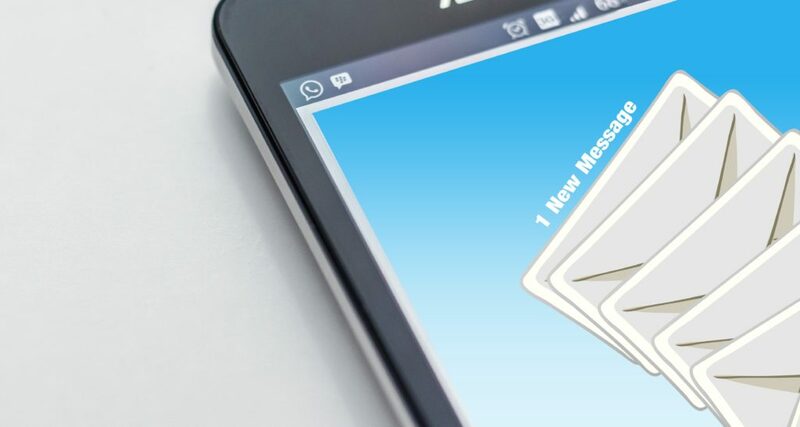 Email hosting, on the other hand, is a service that provides a server(s) and other necessary infrastructure to store and maintain the files that make an email function. You can choose to build and manage your email hosting server by yourself, although this is expensive. Only big companies do this. Most business owners pay a hosting provider for their email hosting. You can have your email hosted on the same server your website is hosted on, although it is not recommended. Most website hosting providers don’t provide quality email hosting because they are not into the business of email hosting. However, host providers who do both email hosting and website hosting use separate servers for hosting them. Some business owners prefer to use different providers for their email hosting and web hosting. This is also good. As long as your website and email are not hosted on the same server. This is a common email hosting a lot of people above the age of 13 use; Gmail, Yahoo mail, AOL, Hotmail, etc. They are called web-based email hosting because they’re accessible on any internet-enabled device. They come with an email forwarding feature making it possible to forward emails without needing any extra software. They are good for personal use, not for business. Why? First, you can’t choose to use your preferred email name, for example, you will be stuck with yourname@gmail.com if you create an email with Gmail. You will have to manage a small storage capacity. They put in minimal security measures and anti-spam filters. They also scan your received and sent messages, therefore, no privacy. Using a free web-based email hosting for your business shows a lack of professionalism. It doesn’t sit well to have a Joe’sbusiness@yahoo.com. Partners, customers, and investors won’t take you seriously with a free web-based email address. This is the email hosting recommended for business owners, it has better features, such as more storage for your email files, and better security measures in place. You can choose a unique email address to make your business appear more credible. You will be provided with unlimited accounts and addresses, therefore, you can create multiple addresses for your state. You will also be provided with an auto-response feature, which you can use to auto-respond to your customers. Using a separate email hosting server means that if your website server is down, you will still be able to send and receive emails. Post Office Protocol 3 (POP3): this server stores incoming messages until the email hosting client accesses the incoming message with the email software. The server will then automatically download the message into the client’s device. Next, the server will delete the message from the server to free up space for more incoming messages. It is widely used by ISP’s. Internet Message Access Protocol (IMAP): is a popular alternative for POP3 among business owners. Clients get to access their incoming messages through their email software, preview, organize and even delete if they want to. They can choose or not choose to transfer messages from their server to their devices. They also have the choice to delete or not delete messages on their email server. This server gives clients control. Simple Mail Transfer Protocol (SMTP): this is when two different types of server are used as a whole for email hosting. The hosting provider can use both IMAP and POP3 for an email client. If you’re in the stage of choosing an email hosting provider for your business, you need to first weigh your options. The kind of traffic you get, your current capacity, budget, and your goals. This will determine the type of email hosting that’s best for your business. We are here to help you navigate this stage and make the best choice.